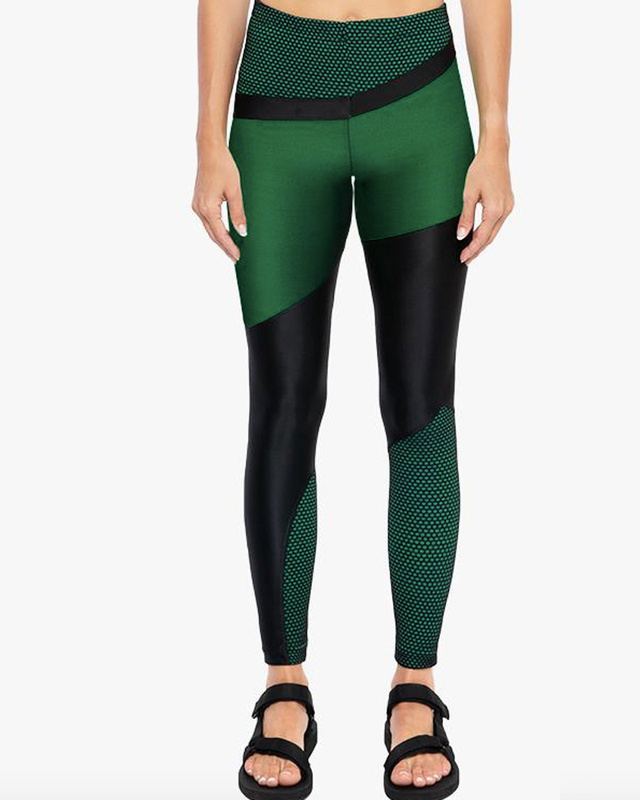 High rise, ankle length, mixed textile legging. 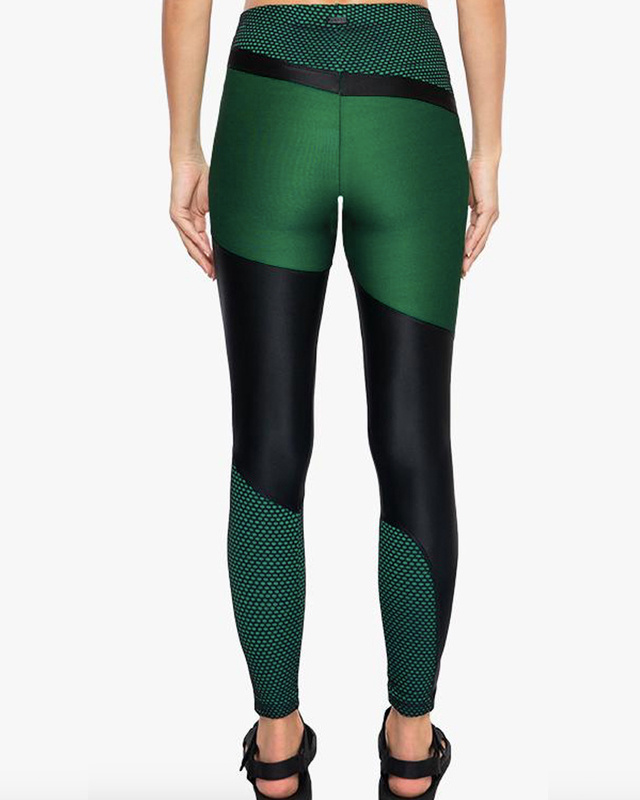 Luminous, two-toned Shantung fabric in dark green with black mesh paneling at waist and calves. Shiny black Infinity fabric color block detailing. Encased waistband with matte black logo plate at back. Machine wash cold with like colors, turn inside out, no bleach. Tumble dry low.